Retired Miami Heat Star Shane Battier will team up with the Ms. Molly Foundation, a non-profit organization that provides funding for safe houses and shelters for domestic violence victims, at their Guest Griller event at Mongolian Grill in Ann Arbor, MI on July 9, 2015 from 6 – 9 p.m. ET. Shane will attend as a celebrity chef and griller preparing food for all that attend. Tickets for the event are on sale now, $10 for children (10 years and under) and $25 for adults at http://www.brownpapertickets.com/event/1691845. Each ticket includes a Mongolian Grill bowl, soup and salad bar, non-alcoholic beverages, tax and gratuity. Proceeds from the event will benefit SafeHouse Center, a domestic violence and sexual assault shelter serving Washtenaw County and the Battier Take Charge Foundation, which provides college scholarships to serving young leaders in the greater Miami, Houston and Detroit areas. 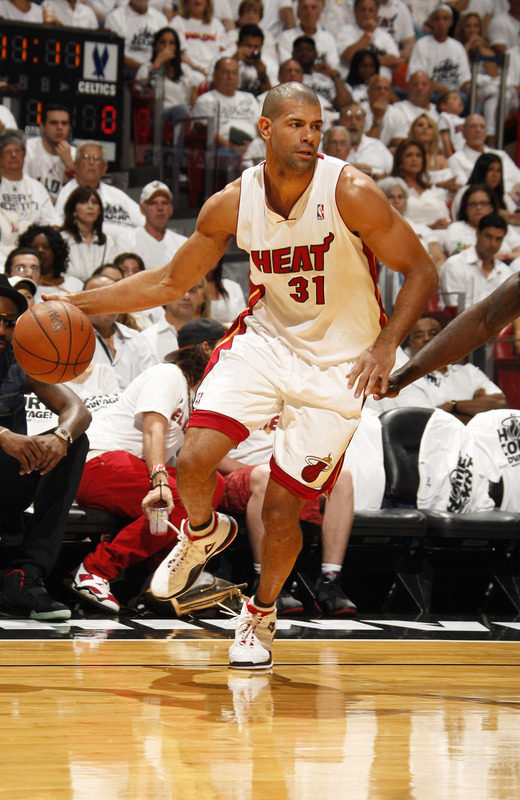 Attendees will have the opportunity to meet Shane Battier, take pictures and receive autographs during the event. “Do Well. Do Good. This simple phrase not only describes the heart of The Battier Take Charge Foundation, it serves as a motto for the Battier Family. Through our NBA journey, we have been blessed with many life-changing experiences and opportunities. My wife, Heidi, and I strongly believe it is our responsibility to use our platform for the betterment of the communities that have touched us,” said Shane Battier. Mongolian Grill is located at 200 S. Main St., Ann Arbor, MI 48104. Media are invited to attend the event and interview Shane Battier. Please contact Bre Whalen at bwhalen@fishmanpr.com to coordinate any interviews. Over his distinguished 13-year NBA career and his heralded collegiate career at Duke University and high school success at Detroit Country Day, Shane Battier retired from the Miami Heat as a scholar athlete, All-American, leader, champion and philanthropist. Dubbed the “No-Stats All-Star” in a New York Times Sunday Magazine cover story written by Michael Lewis, Shane was regarded as one of the most complete players in the NBA for his leadership, lockdown defense, and intellectual approach to the game. For more biography information on Shane Battier, visit his website at https://takechargefoundation.org/home/shane-battier/. Molly Maid, Inc. Founders David and Karen McKinnon established the Ms. Molly Foundation in 1996 to raise awareness and support for victims of domestic violence. Currently, 75 percent of Molly Maid franchise owners in the United States participate in Ms. Molly’s mission and supports over 120 shelters in communities across the country. In 2013, the Making Life Bear-able campaign began to provide a teddy bear as a comfort item to a child staying at a shelter. To find out more about Ms. Molly and the Making Life Bear-able program, visit us at www.msmolly.org. Molly Maid is part of Service Brands International, who also has Mr. Handyman and ProTect Painters in their family of home-service franchise companies. Members of the media may contact Bre Whalen at Fishman PR to schedule an interview with Shane Battier for this event at bwhalen@fishmanpr.com or (847) 945-1300.